Pierce College women’s volleyball player Azeezat Anthonio was carried out on a gurney by LAFD paramedics from the South Gym on Oct. 9 after a possible seizure, according to Sheriff’s Deputy Al Guerrero. She hid under a sheet to hide her identity. 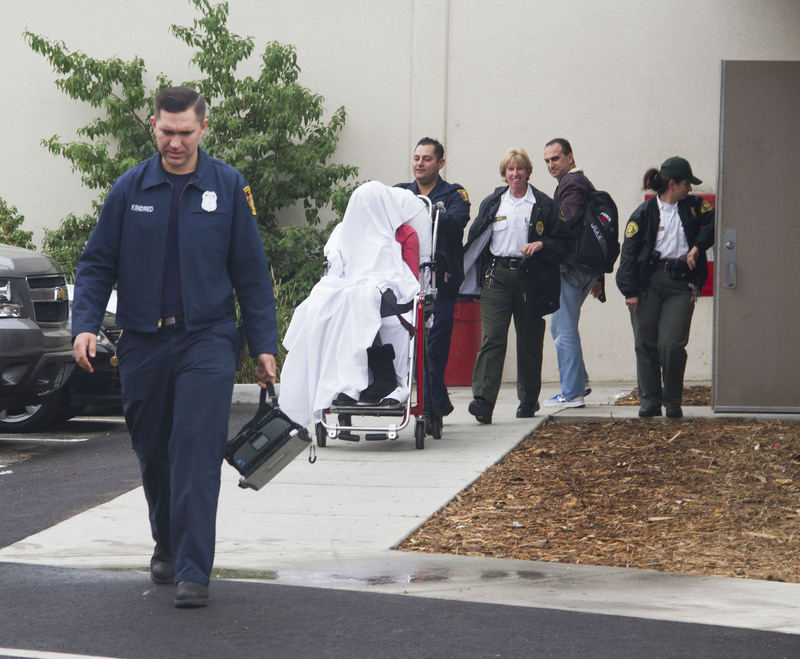 A Pierce College female student was reported ill in the South Gym around 1 p.m. and was transported by paramedic for precautionary reasons to a near by hospital, according to Deputy Alfred Guerrero of the campus Sheriffs Department.